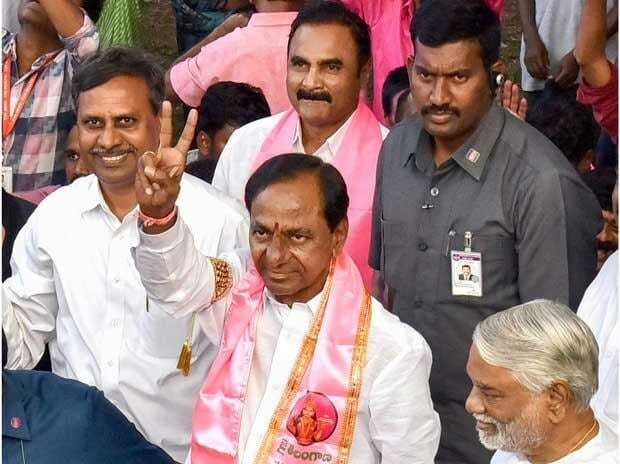 Accordingly TRS party has witnessed a landslide victory but in few constituencies, their candidates won with slight majority. Meanwhile after analysis, TRS leaders have come to a conclusion that 'TRUCK' symbol has killed many candidates chances and also brought down their majority. Furthermore this 'TRUCK' symbol belongs to All India Forward Bloc party (ALFB) and at several constituencies, their candidates stood in third position pushing BJP and other noted parties behind. Furthermore former chief whip Koppula Eshwar won with a slight majority of 441 votes from Dharmapuri. Further in every round of counting, ALFB candidate got a minimum of 1000 votes and so Eshwar was trailing till eighth round and he breathed easy in the final round and ALFB candidate got over 12,000 votes here.